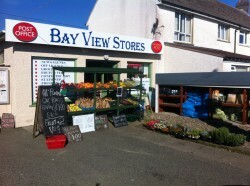 A warm welcome awaits you at solva’s top post office and convenience store. Specialising in fresh Solva crab, local produce and fresh homemade sandwiches. Extensive wine and spirit collection. Come and meet our friendly local staff and see our infamous, ever changing street signs, famous throughout Solva.